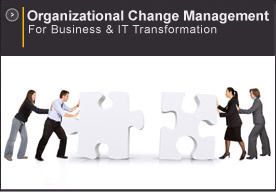 OTA has extensive experience in change management consulting services in an SAP context. A key differentiator of OTA’s approach to Organizational Change Management (OCM) is its emphasis on applying project management discipline to the planning, execution and monitoring of change management activities. For an overview of our past and present customer engagements, click here. Over the years, OTA has documented its change management approach and accelerators in a complete methodology, fully aligned with SAP’s ASAP project management methodology. For more information on OTA’s OCM offerings, click here. OTA has also developed a series of SAP-specific OCM training seminars that are designed to enhance the performance of business process owners, executives and consultants. Following is a list of OTA’s OCM training seminars and their outlines. Click on the seminar title to see a brief description. Detailed outlines can be obtained by communicating with OTA at : info@ota.ca. OTA offers its clients the possibility of structuring a customized support package that includes a complete OCM training program tailored to a customer’s specific needs, as well as an OCM coaching option. Customers can also acquire licences for OTA’s OCM methodology and training seminars for unlimited internal use. For more information on this option, please contact us at: info@ota.ca. This one-day workshop helps executives and senior managers gain a strategic and practical understanding of the SAP Solution Suite. Key features, benefits and potential impacts are highlighted. The workshop also introduces the role that executive teams play in the successful governance of an SAP project. Intended as an interactive presentation, this session is facilitated by a strategic change management professional from OTA and a senior business consultant from SAP that can describe the multiple facets of the SAP Solution Suite. This custom workshop provides executives, senior managers and project management teams with an understanding of best practices on SAP implementation governance, project/risk management and value/change realization. These three areas are covered at a high level in day 1, while days 2 and 3 focus on the methodology, tools and techniques for project realization. Emphasis is on the roles and responsibilities of all project stakeholders when applying the Accelerated SAP (ASAP) methodology. Workshops on common risks (i.e. decision making, requirements definition, management of stakeholder expectations, organizational change) allow participants to discuss preventive and corrective actions relevant to their own project. Intended as an interactive session, this workshop is facilitated by a strategic business consultant from OTA, an Education and Services Partner to SAP Canada, US and AG. A fundamental goal of e-Business and ERP initiatives is the adoption of new business practices and their associated processes, roles and responsibilities. Analyzing these impacts and transitioning the organization represent the bulk of Organizational Change Management (OCM) efforts. This workshop allows customers, over time, to act with autonomy. This is achieved by transferring to participants practical techniques, tools, skills and lessons learned from multiple SAP implementations. It enables project team members to effectively engage line managers and contribute to benefits realization. Simulations and case studies help participants perfect their skills and apply the techniques to the real-life challenges they will encounter. This workshop was developed by OTA Inc., who collaborated on the ASAP Focus Roadmap for the mid-market developed by SAP AG for the mid-market. Aligning diverse stakeholders on a common set of value goals, from initial justification through implementation and operations. Managing the business impacts and organizational changes necessary to the realization of value goals. The workshop will show participants how to leverage Solution Composer to support value and change realization in their SAP projects. Easy to use and with an intuitive interface, Solution Composer is a repository of business maps, process scenarios and key performance indicators designed around industry value chains. Participants receive accelerators and templates to support the planning and execution of communications, impact analysis, decision-making and transition planning activities. 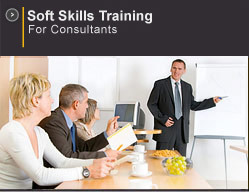 Note: This workshop is available through SAP Education. Managing the “people” aspects of SAP ERP or e-Business initiatives is one of the greatest challenges facing implementation teams. Drawing from lessons learned in multiple SAP implementations in a variety of sectors, this seminar introduces the change management accelerators of ASAP, as well as proven techniques and skills for developing key organizational change management deliverables. Through SAP specific examples and simulations, participants learn the techniques and skills needed to assess risk and readiness in each phase, define coalition and communication strategies, as well as how to prevent / defuse resistance.